Essex. Everyone knows it. Or thinks they know it. Poised between East London and the Eastern World, this ancient county has provided rich soil for innovation, invention and eccentricity. 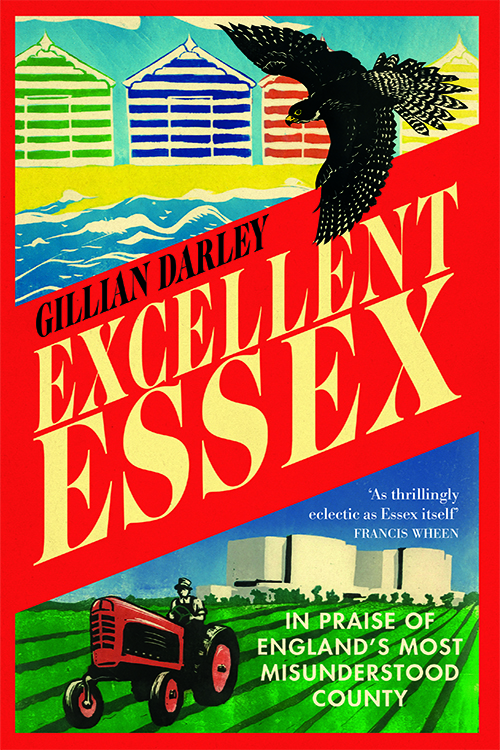 In this vivid and wide-ranging account of her home county, Gillian Darley celebrates the Essex seen and unseen. Behind the myths of Essex Man and TOWIE, there is the Essex that nurtured the first Puritan settlers in America and the man who inspired the Declaration of Independence. As well as new homes for blitz-scarred East Enders, it has offered a refuge for Huguenot craftspeople, a testing-ground for communes of artists, anarchists and many others in pursuit of the ideal. Drawing on mediaeval manuscripts, reality tv, novels, art and AA guides, Excellent Essex shows how the clash of rural and urban in this unique county created a shower of sparks which set the world on fire. A journeyman botanist from Colchester was among the first to trade with a secretive Eastern Kingdom. An earthquake in Braintree inspired an innovative building system. In Epping, a spat over firewood led to an historic victory for the common people. Personal and affectionate, Darley’s Essex – wild, built, dreamed and fought for – is no guide book, but an excellent guide. Gillian Darley was brought up in East Anglia, on the Essex-Suffolk borders, and perhaps for that reason has a liking for distant horizons and towering skies. Wide-ranging in her interests, she is the author of several acclaimed books, including Ian Nairn (with David McKie) and Sir John Soane.